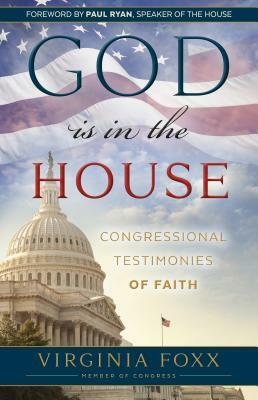 A very inspired and original compilation for this election year, God Is in the House is a collection of essays by members of Congress who reflect on their deep faith and how it guides them as legislators. The book was compiled by Representative Virginia Foxx who personally asked congressional colleagues who are devout in their faith to contribute, coworkers who are in Bible study with her, and colleagues she knows on a personal level. The book includes seventeen members of Congress, representing ten Christiandenominations from both political parties. Virginia Foxx is the U.S. Representative for North Carolina's 5th congressional district. She is a Republican and was elected Secretary of the House Republican Conference in 2012.